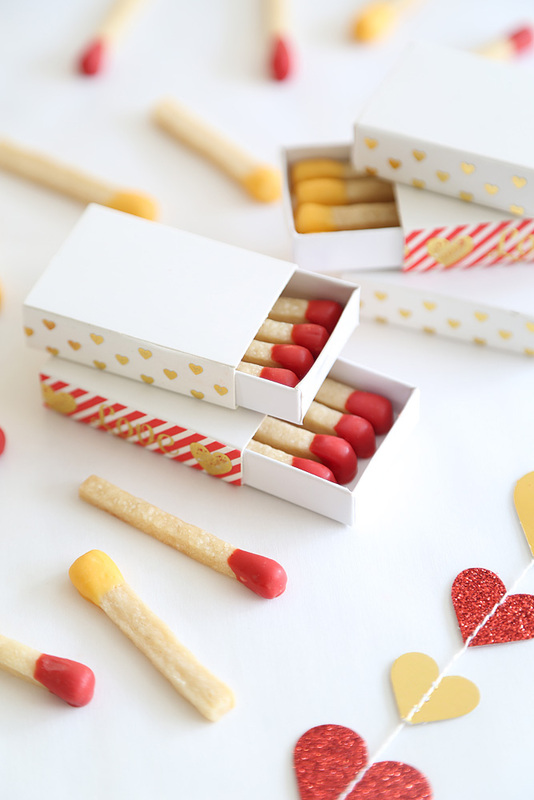 Valentine's Day Matchstick Cookies for The Etsy Blog! 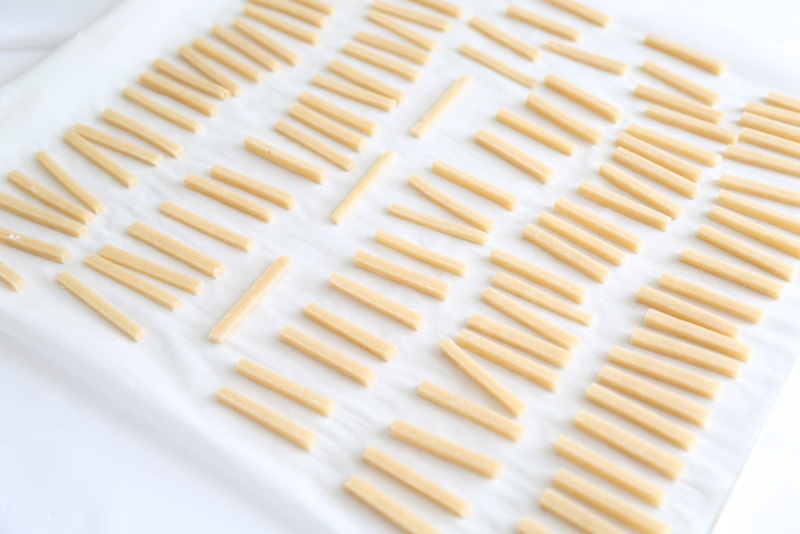 Hop on over to The Etsy Blog to find the complete tutorial with lots of step-by-step photos. 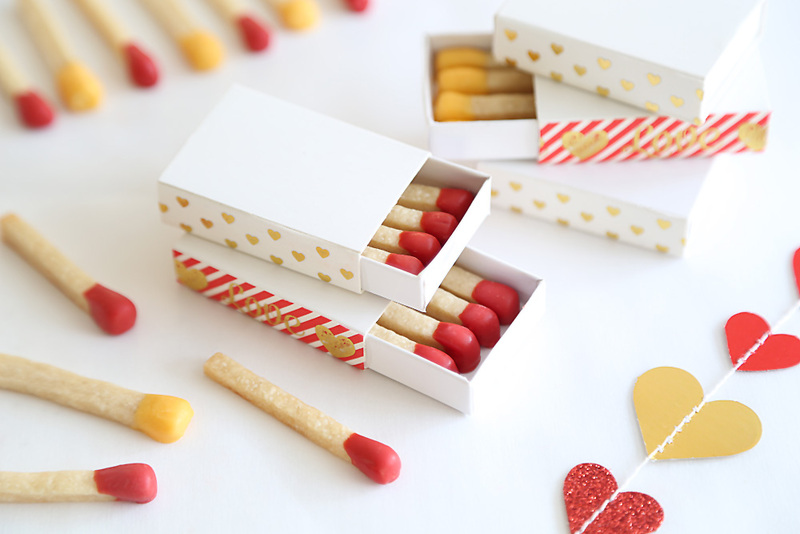 You'll also find resources for slider boxes and the super cute washi tape I used to create a faux "striker strip" on the sides of the matchboxes. You are a genius. These are so creative and done so perfectly! These are outta this world faux real! These are EVERYTHING!! You are a genius! Oh wow! Have you ever seen the movie Like Water For Chocolate, Heather? It's this amazing Mexican melodrama about a chef who genuinely puts her emotions into her dishes... In the end (long story), she eats matches! These would be oh so much tastier than the variety she eats! So beautiful - well done.